We would love to share our healthy life style with all the famous local Thai food that Thai people have created through the centuries that you have never experience before. 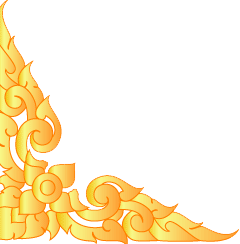 You will learn all the processes for the making of original Thai recipes on your own. 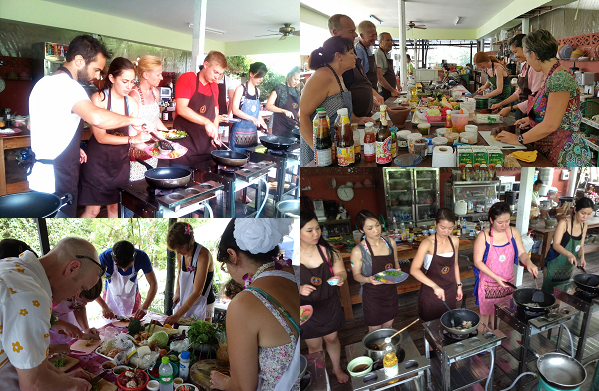 Guided by our fully experienced Thai cooking teacher. 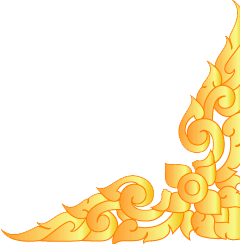 You will gain a thorough understanding of Thai cuisine which will open the door to true Thai culture. 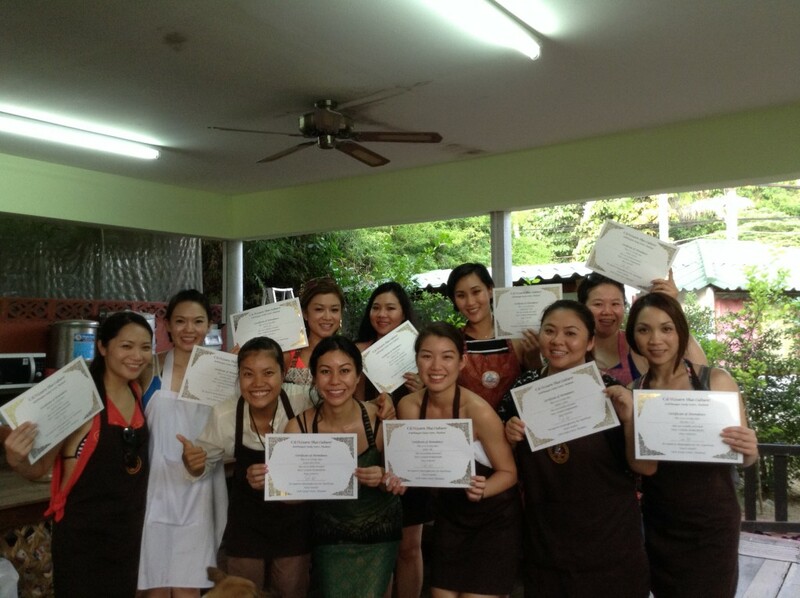 Thank you so much for deciding to study Thai Cooking & Dessert at C&M. We offer cooking classes on Tuesdays, Thursdays and Saturdays. Group class starts at 12:00 and finishes at 15:00. The course includes theory & practice and will always provide our students with fresh ingredients. After you cook your dishes in class you can either enjoy eating them while you are sitting by the lake located behind our kitchen or you can take your dishes back to your place to share to all people who you love. So please don’t eat a lot before coming to class, save your appetite for the 3 dishes which you will cook yourself with our Thai cooking lovely teacher. 6-months course. Throughout the 6-months course you will learn the most popular local Thai Cuisine dishes. 9-months course. 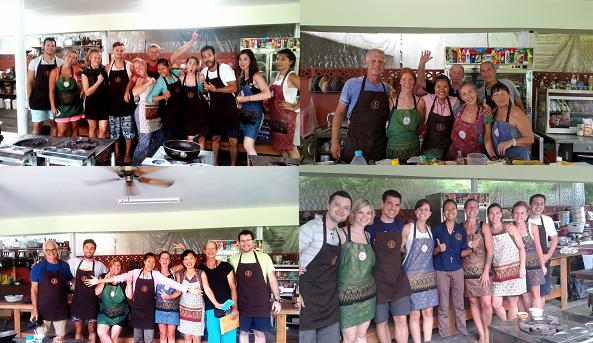 Throughout the 9-months course you will learn local Thai Cuisine dishes, both popular and special ones.